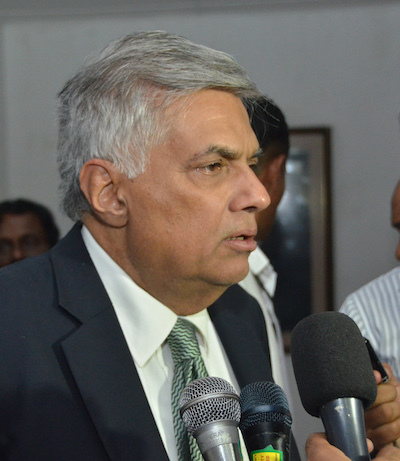 Ranil Wickremesinghe’s views on media freedom are two-faced. One, when in the opposition and one when in power. One sports a smile and the other a scowl. This two-facedness, if you will, is not Mr Wickremesinghe’s preserve. It’s part of the political culture. In general those in power mimic those they replaced and those who are replaced mimic those who replaced them. On most counts. It is typical for the Opposition to champion media freedom and for those in power to curb the same, directly or indirectly. It is also typical for those in power, especially those who feel insecure, to vilify critics by claiming that they are serving the interest of ‘the enemy’ (variously defined of course). During the Rajapaksa regime those who criticized the government were labeled traitors in the pay of separatists or foreign powers intent on dividing the country. During the regime of Chandrika Kumaratunga critics were called ‘Sinhala Buddhist chauvinists’ or ‘war-mongers’. Today’s critics are called ‘Rajapaksa loyalists’. So there’s really no ‘venasa’ (change) in Ranil Wickremesinghe’s occasional attacks on and not-so-veiled threats against journalists and media houses. Not too long ago he referred to a journalist as a dog and called for the control of certain ‘dog-media-institutions’ thereby clearly indicating that he’s moved from good-governance to dog-governance; quite unbecoming, especially for a man who his wide-eyed loyalists consider ‘a brain and nothing else’ (thanikara molayak). What was Kesara’s crime, though? Did he publish a news item where he craftily threw in a quote by some political maverick making a speech in an unrelated context, selectively extracting the line ‘Mangala should be removed?’ Did he write an editorial calling for the Foreign Minister’s removal? No. All he did was to publish a political commentary titled “Why Mangala must exit and Amunugama must enter”. The columnist, Dayan Jayatilleka, to be fair, makes a cogent argument for the Foreign Minister’s removal. Dayan has his preferred political outcomes. His commentary is informed by the same. He is clever with words and he knows enough history, political science and sociology to make his conclusions sound like they are the only ones that are logical. There have been times when I’ve disagreed with Dayan, but on this occasion I concur with him totally. But let’s assume that he is way off the mark. Let’s assume that he is just making a case for an outcome that serves his political objectives. The fact is, however, that his is only a comment. A comment, Mr Wickremesinghe. It’s free, Mr Wickremesinghe. He is offering an opinion on facts which he has not distorted. Weighted maybe, but that’s allowed Mr Wickremesinghe. You should know this. Editors, especially liberal editors, reserve space for regular columnists from across the political spectrum. Kesara gives space to people who are rabidly opposed to Dayan Jayatilleka and who regularly trot out what I would call nauseatingly servile pieces about your administration, Mr Wickremesinghe. I don’t know of any occasion when someone objecting to such views called him names and declared that Kesara would be taught a lesson. What does Ranil Wickremesinghe want, I wonder. The entire media to come together and call him ‘saviour’, salaam him at every turn, sing hosannas and crack down hard on his detractors? Is that the ‘media freedom’ that this good-governance government envisaged, never mind what was promised? Ranil has issued a threat in no uncertain terms. He’s basically told Kesara ‘Resign or else!’ He’s read the riot act and he has the riot police ready. That’s the message he’s given and not just to Kesara but anyone who dares question his judgment. Well, speaking of judgment, he was found lacking when he appointed Arjuna Mahendran as Governor, Central Bank. He did fire some shots at those who criticized Mahendran, ably supported of course by his loyal sidekick Lakshman Kiriella, the Minister of Higher Education whose judgment too has been called to question after it was found that he had appointed dozens of advisors with hardly any educational qualifications and even tried to justify the use of public funds to pay the salaries of these ‘party loyalists’. Ranil’s tirades did not stop the media. It did not stop commentators. Arjuna Mahendran had to go. At this rate, the call will not be for the exit of a bad-judgment-appointee but the appointer himself, Ranil should understand. Arrogance was a key factor that saw the ‘exiting’ of Mahinda Rajapaksa. This too he should not forget. He says that the Daily Mirror has carried anti-Tamil and anti-Muslim articles? Maybe that’s how he reads and maybe that’s an indication of his ability to read, but then again others can say that the Daily Mirror has carried ‘anti-Sinhala’ and ‘anti-Buddhist’ articles. After all, the Daily Mirror gives as much or more space to anti-Sinhala and anti-Buddhist commentators or, if you want to be sweet about it, those who attack Sinhala and Buddhist extremists and slip in crass generalizations to attack the entire collective. Hasn’t Wickremesinghe seen any of these pieces? Those who know Wickremesinghe’s ways will not be surprised at this manifest inability to stomach any criticism and especially calling his judgment to question. What might surprise a lot of people is the deafening silence of the bleeding-heart media-rights advocates who could barely hold their tongues at the slightest perceived wrong done to journalists. What happened to the Editors’ Guild? What of the Free Media Movement? What of their lords and ladies abroad who regurgitate their whines in international forums and fire off strongly worded missives to anyone who might be willing to listen? How about the rights-bloc (shall we call them? ), those who cheered the yahapaalanists all the way? 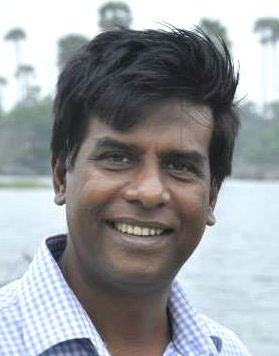 How about Dr Ranga Kalansooriya? How many such tirades from Wickremesinghe will it take for them to wake up or will that never happen because they are simple in pretend-slumber? Let’s stop there. There’s no point doing the horage-ammagen-pena-ahana number (asking the crook’s mother about the crook’s whereabouts). Let’s get back to Ranil Wickremesinghe. On the 16th of May, 2004 the ‘Sunday Observer’ published an article titled ‘Move over Ranil, your time’s up’. It was a political comment. It was an exit call. Wickremesinghe didn’t say a word. He didn’t call for the particular editor’s blood. He didn’t say ‘we must teach journalists a good lesson’. He was quite the lamb. He was in the Opposition then. Says a lot doesn’t it? *Malinda Seneviratne is a freelance writer. Blog: malindawords.blogspot.com. Email: malindasenevi@gmail.com. Twitter: malindasene. Dazzlinly good articles, both. Thank you Malinda and Dayan. So Malinda, would Kesara face the same treatment as Lasantha? Do I remember you writing about Lasantha? I am sure your concept of media freedom would have been the same whether it is Rajapakse or Wickramasinghe who is harassing the media. So, Malinda would you like to write about Lasantha too? Thanks to Yahapalanaya, the treatment given to Lasantha would never be given to Kesara. Dare dispute me, Malinda? Malinda, in the name of decency would you like to name your source of this speech? You most abusive one another appologist of Rajaakshe Rule, – sound to be hurt by the statements made by PM on the press men that continue their media role in lanken press today. I dont think there is any wrong PM to have revealed the names of those very men, that block the free media progress of this country. As PM made very clear, their earnings are dependent on those biased MR networks – which everyone with a bird brain finds is very right. But the men that seem to have nothing like masculine gentitals – being unable to call teh a spade a spade – Malinda may add his usual verbal diahrea – roundabouts. Malinda was a close man to former regime, and will stay also so corruted for his rest of like. His talents in writing will not guide him to sit with goodies – so long his thoughts and minds are grabbed by Rajaakshe thieves. Thank you Malinda for exposing the hypocrisy of Ranil. Many people think that he is a democrat but he is not. He is an autocrat like his former UNP leader JR. See his arrogant speeches and actions in the Parliament. He has no business to ask other MPs in Parliament to shut up and sit down. He arrogates to himself the powers of the Speaker. Not long ago comrade Vasu very rightly gave back tightly in a language he deserved. He is there as Prime Minister because of President Sirisena. They need each other to stay in power. Because of the way they are running this government,sooner or later both will face the same fate that Mahinda Rajapakse faced. Autocracy is good and needed for a country like Sri Lanka to keep do-gooders and know it alls (corrupt to the core) going too far astray. Dictatorship and pillaging, ala Rajapaksa, is bad. That, and having to put up with the pathetic ‘journalism’ that adorns most of our pages today. Would any foreign investor invest in Sri Lanka reading that nonsense? Just repeating the Rajapakse bashing like a broken record is now stale. Nothing has been found from the US$18bn that was said to be stolen and now has resorted to silly pipe cases. What Ranil wickremasinghe is doing is destroying UNP’s any future chance of coming to power and UNP bigwigs are so busy plundering with their projects they don’t see this. Ranil could have called it a day and just retired from politics and spend the rest of his life globe trotting and giving lectures in all important centres of the world where he is a welcome guest. Instead he has chosen to take over the mantle of leadership of Sri Lanka and along with President Maithripala Sirisena two leaders who truly have the country at heart with the purpose of putting the ruderless ship that was our nation, on course. The outstanding qualification of these two personalities is that THEY ARE NOT CORRUPT. Can anyone point an accusing finger at them claiming they had themselves involved in corruption? I’m sorry. You don’t understand Mr. Seneviratne. This is the new operating style of the right-wing. Trump vs Jorge Ramos. This is the small island version of the same. Wikramasingha vs Kesara. For the sake of completion I must ask this question: Where were you during the MR regime when journalists were disappearing in numbers on white vans? You should be thankful that today you have the freedom to write this piece here and if chosen the PM’s right to teach you a lesson in journalism. That is after a three day warning, of course. I wish Seneviratne had the same courage during the regime he so loyally served when media freedom became non existent with murders and abductions. PM can express his criticism and opinion. So long as no threats to physically harm media men. Thanks. Your spot on Malinda. Keep writing the right. But do not expect to change the mindset of “set”, one-sided jackasses like ‘Punchiburamphi’, ‘Above the Rest’ or similar minded lunatics who keep raising “Gonjan Ramanayake” like points to your write up which reveals the two-facedness of Wickremesinghe! Indeed! But where was Malinda (and all of the above) when MR and gang were running amok in all manner of areas and not just regarding the media-folk with whose POVs they disagreed with??? Ranil is shamelessly displaying his arrogance and ‘power’ and must remember that “the bigger they are, the harder they fall” – or maybe he is afflicted with short-term-memory-loss! 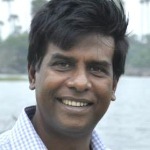 Many will disagree with the political journalism of Malinda – a well known Rajapakse shill. But his right to be constructively critical, of Ranil and any other Govt man, should not be denied or undermined. That is the very essence of democracy. Ranil’s ire with critical journalists is understandable. He is trying to save a regime that has many potential features to serve this country in the present and the immediate future – notwithstanding the fact the regime itself is packed with established rogues clothed as Ministers and leaders. In as much as political leaders are subject to the critical comments of responsible ladies and gentlemen of the free – and responsible – media so is the right to criticise and subject journalists to censure for their own parochial excesses. After all this is a country where leading journalists practised – and made fortunes – practising blackmail journalism. Journalists here, accused of having accumulated black money unethically, have been, now and then, identified in the media itself – directly or obliquely. ‘HE WILL LAUGH AND WHILE HE LAUGH HE WILL CUT YOUR HEART’ BEWARE. True, Malinda did not write for media freedom under the MR regime. But that does not make his critique of Ramil invalid. in fact as someone who was with the January 8th movement I agree with many of the things Malinda says about Ranil. And according to his supporters here, the bottom line now seems to be not getting white vanned! What a consolation? Is that the media freedom Ranil promised? What a shame, the all powerful PM of the country threatening a journalist to resign from his post for publishing articles critical of his regime! Where is his decent humanity? Kesara Abeywardene ..Genial & nondescript ????? Get your head out of your ars Malinda. Keep it up PM well said! !.Malinda has completely forgotten what Rajafucksa did to the media. Too much freedom given to the Jarapaksa media coolies. WHERE IS THAT PHONEY POLITICAL SCIENTIST DAYAN! So your contention is “because Rajapakse did wrong”, Ranil should also be permitted to do so ?????? So media personal, authors and writers may not be criticised? Even when there is strong evidence of, say a journo working hand in glove with a nepotistic dictator? Or those who uncommented/unrelated publish the nonsensical daily blabber of those politicos who backed the former regime and who today face the brunt of the law? Is that what the author is trying to say? What to do? There must be a proper code of ethics for the media in a Sri Lanka of the future. There must be public discouragement – do not use/buy the said faulty media. And there must be a penalty code for misconduct. So, Ranil, why don’t you copy yourself one such code, say from Norway or Finland. Both countries in which the media are supposed to have very high standards in the ethics of publishing. Also a godd idea: Found a School for Journalism and hire some internatioanlly famed Journos to tutor there! As for the author: I read his pieces, when the Rajapaksians ruled. Hey aren’t you yourself one of those turncoats Ranil is so p…ed at? Surely an media ethic commission functioning and in place would have some serious questions about your work in the recent past for you to answer… And most certainly of Mr. Kesara Abeywardene. Not all critics of the present government are Rajapaksa loyalists but quite a few (majority??) are.